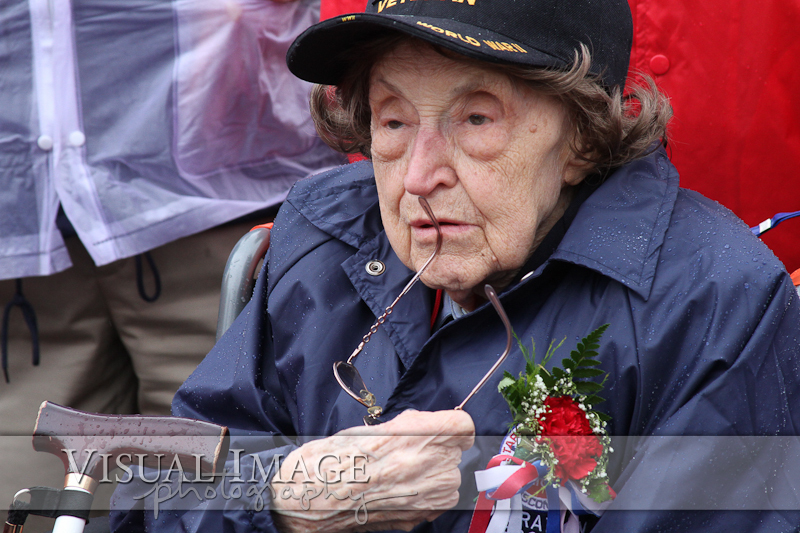 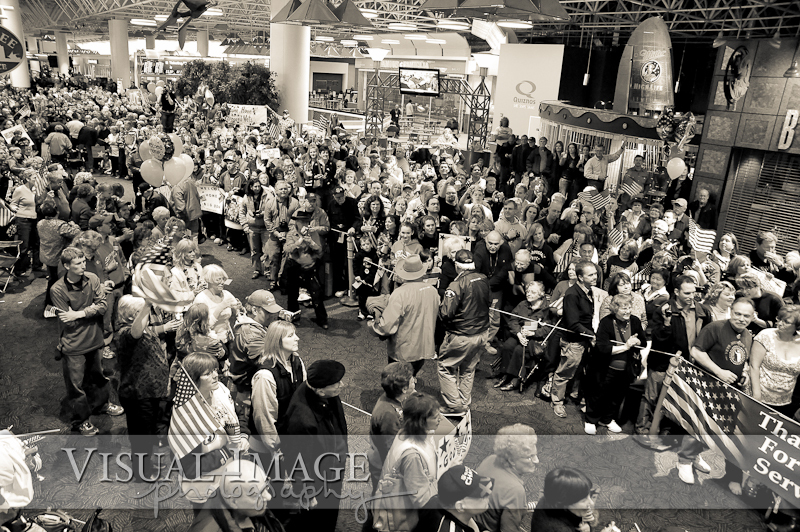 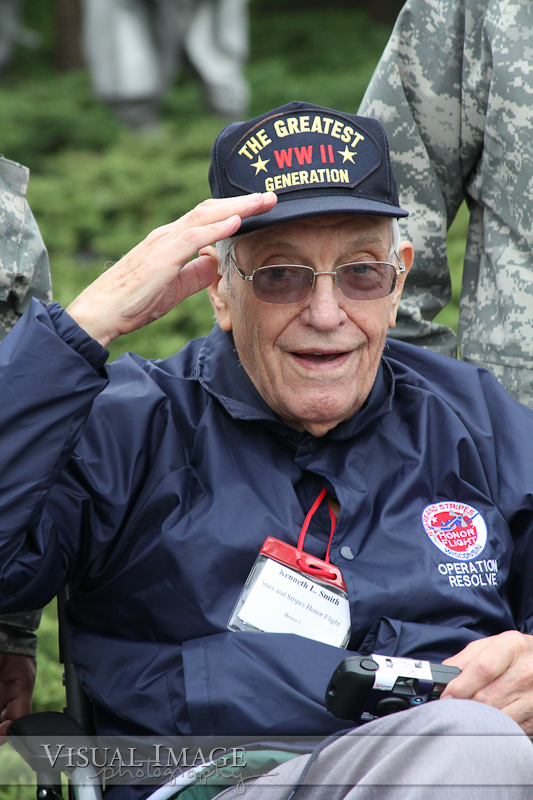 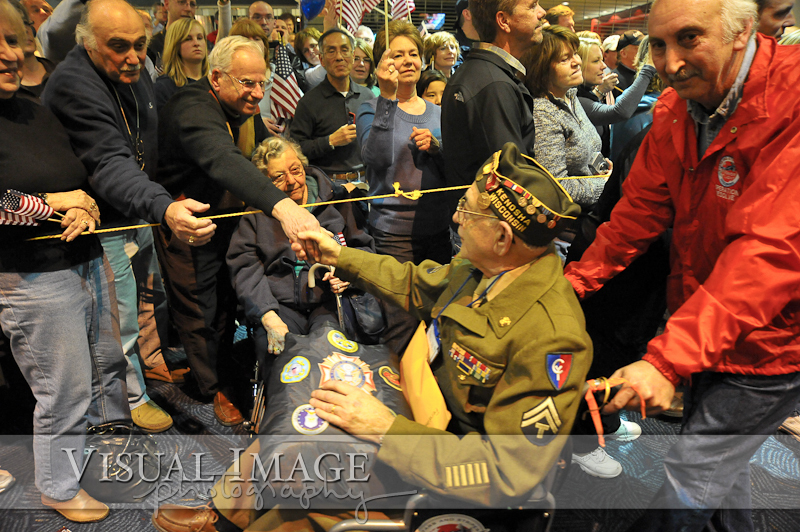 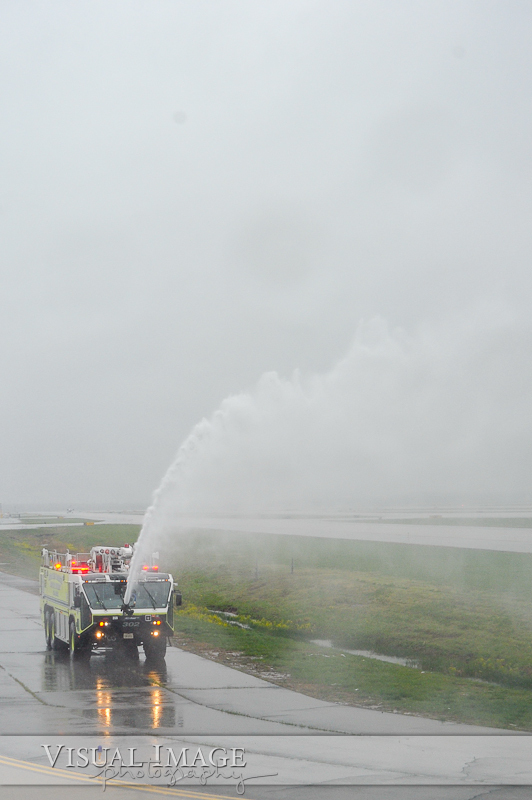 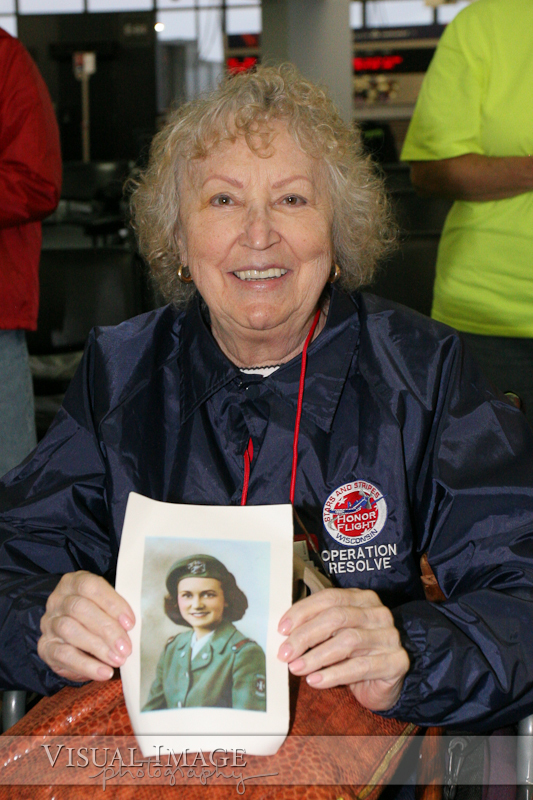 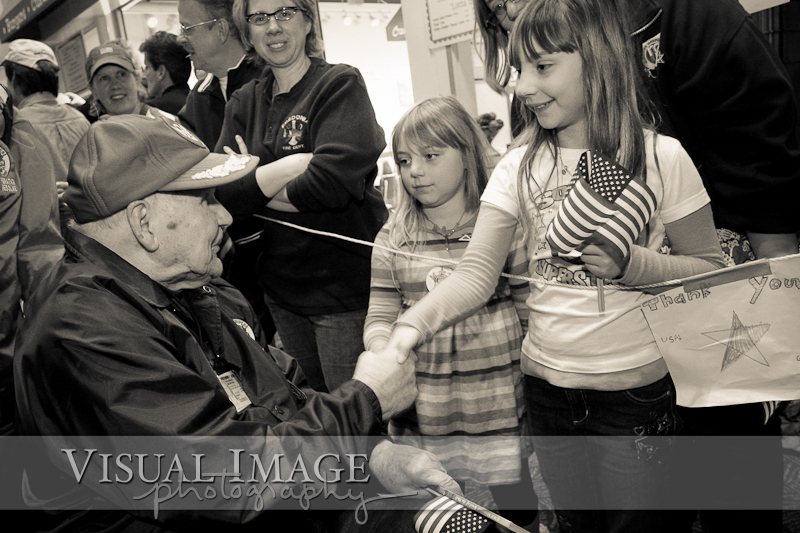 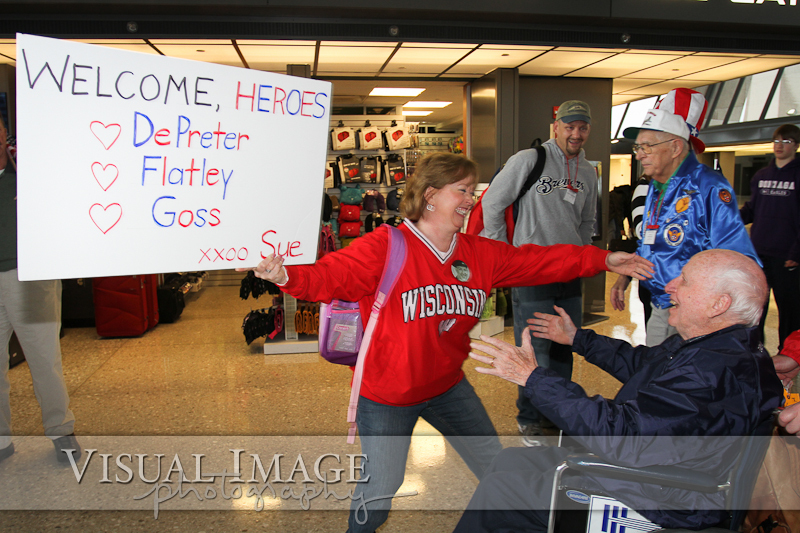 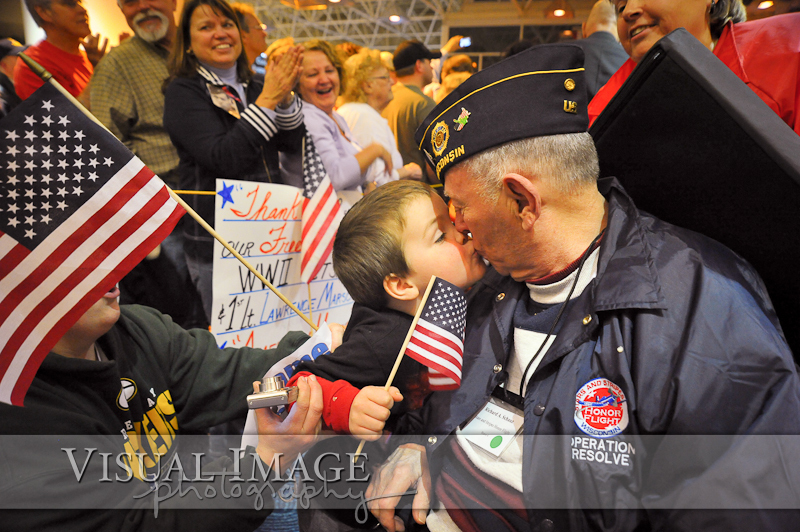 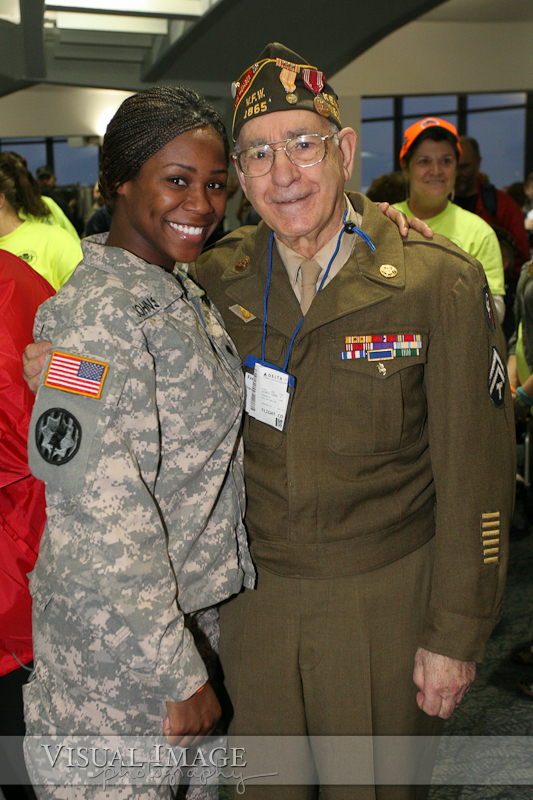 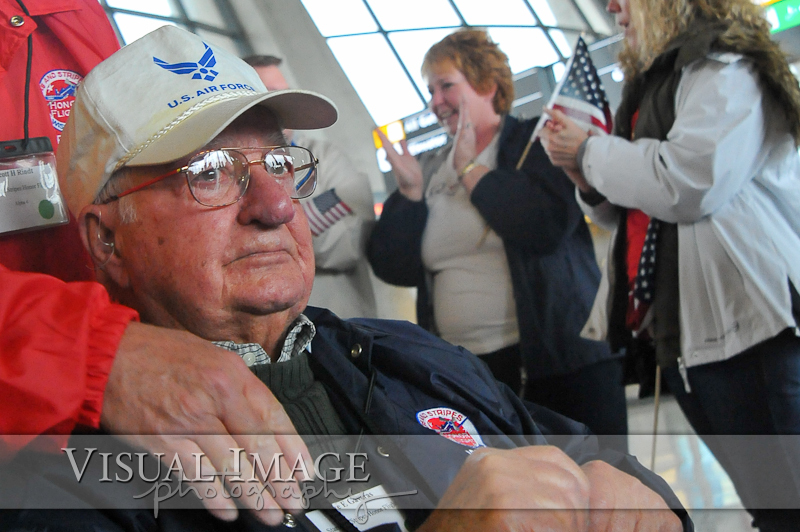 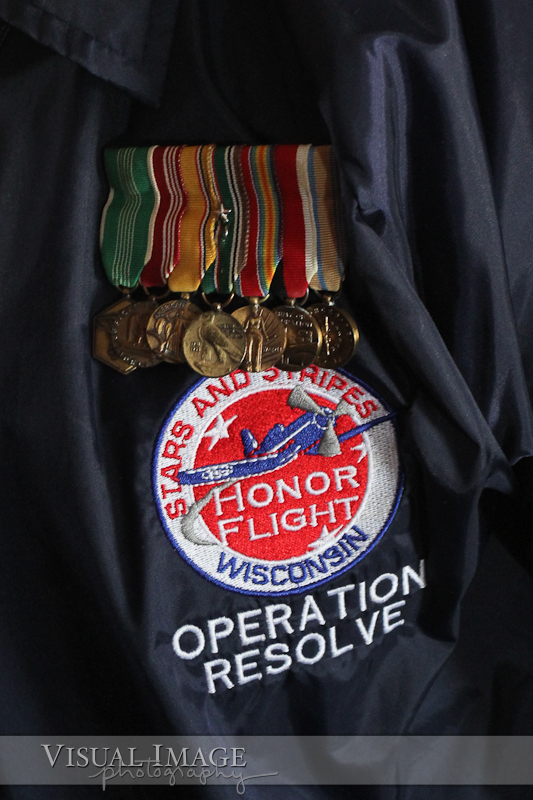 On Saturday, April 16, the Stars and Stripes Honor Flight departed Milwaukee for Washington, DC. 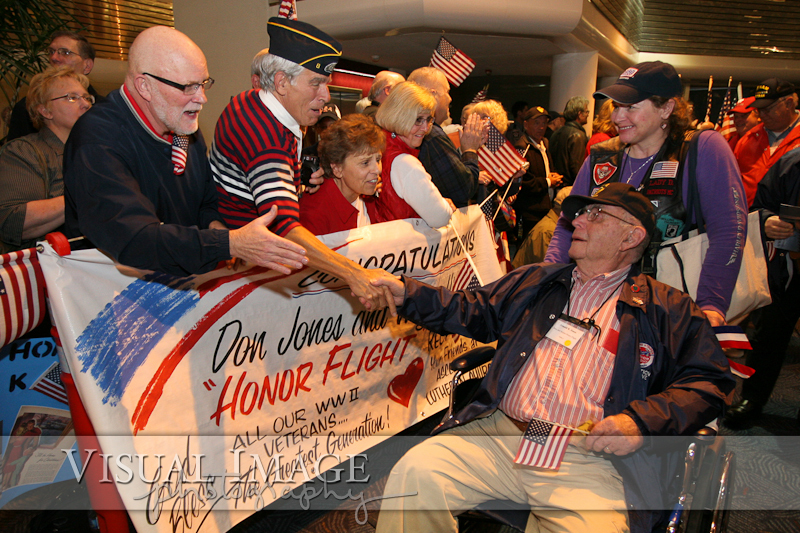 Two planes flew out of General Mitchell International Airport carrying WWII veterans to see the memorials in honor of their service to our country. 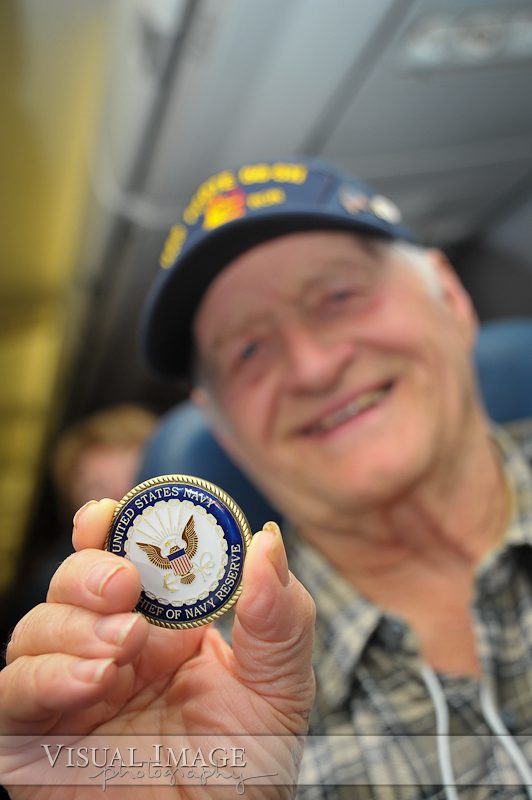 This flight, along with all Honor Flights, is provided free to our veterans. 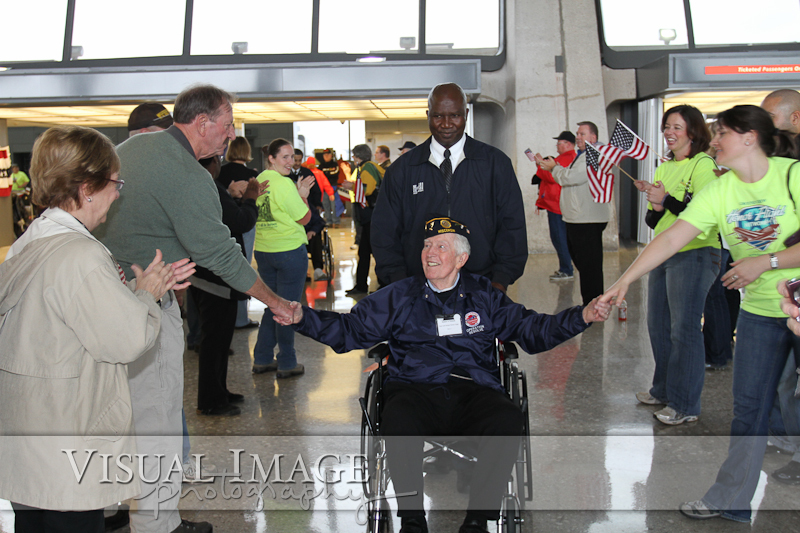 There is another flight scheduled for May 14 that will take another 100 veterans to Washington, DC. 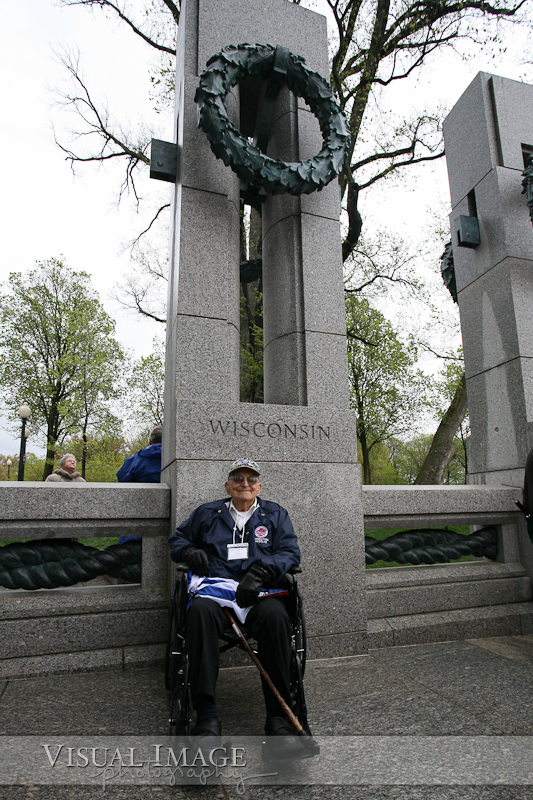 But there are still 400 veterans on the waiting list. 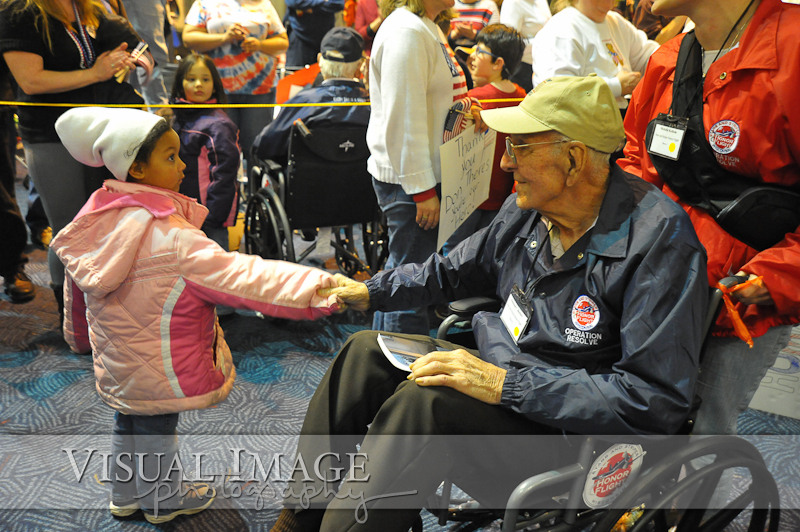 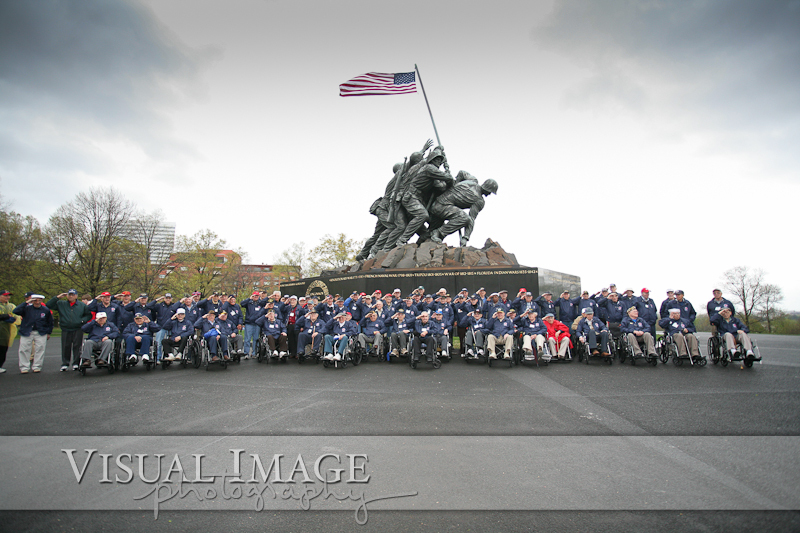 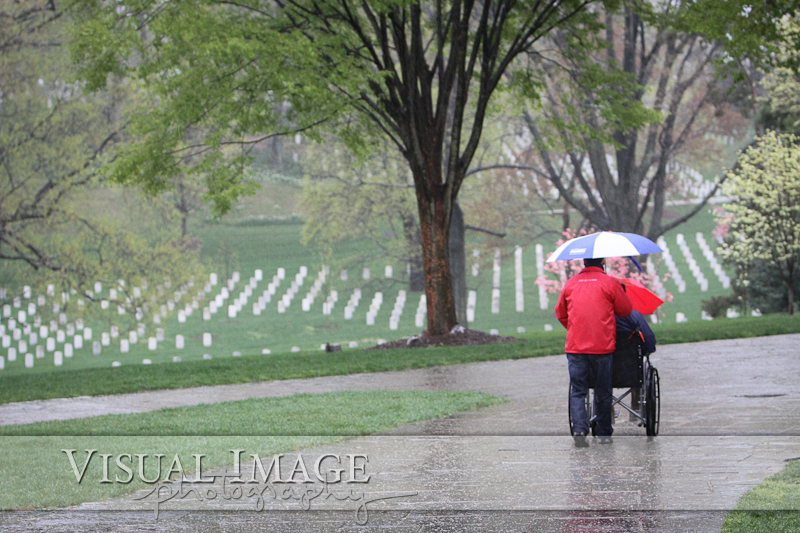 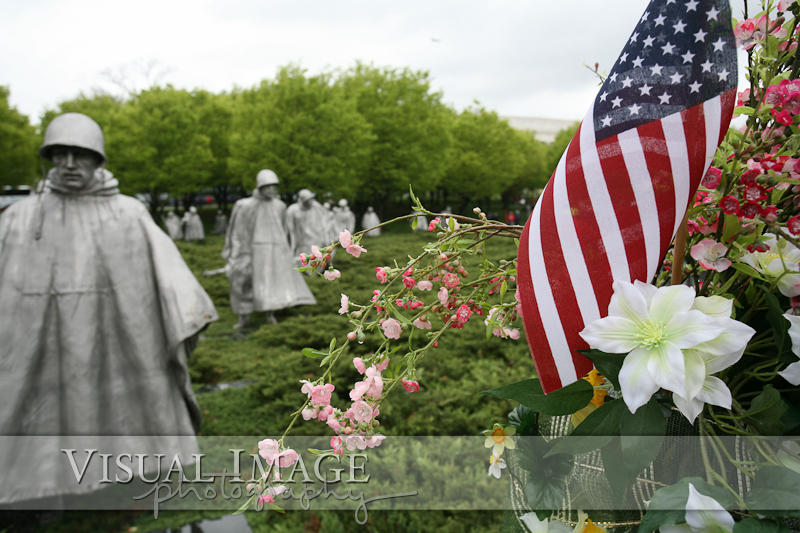 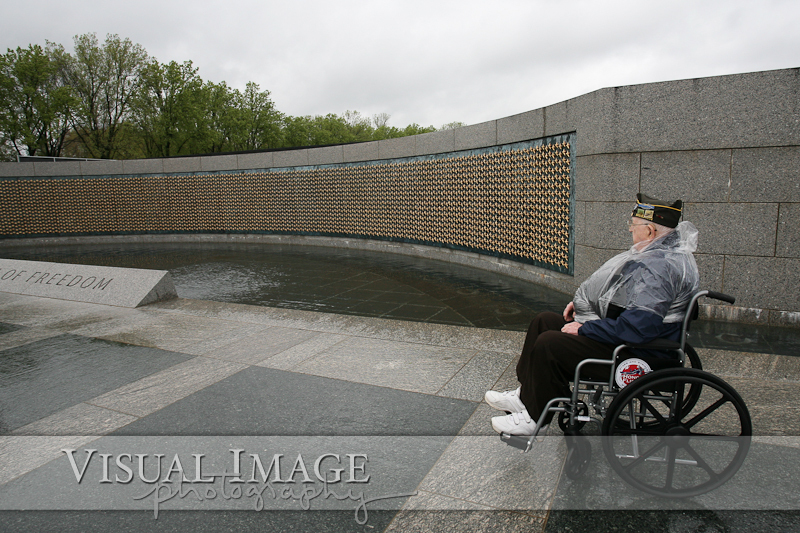 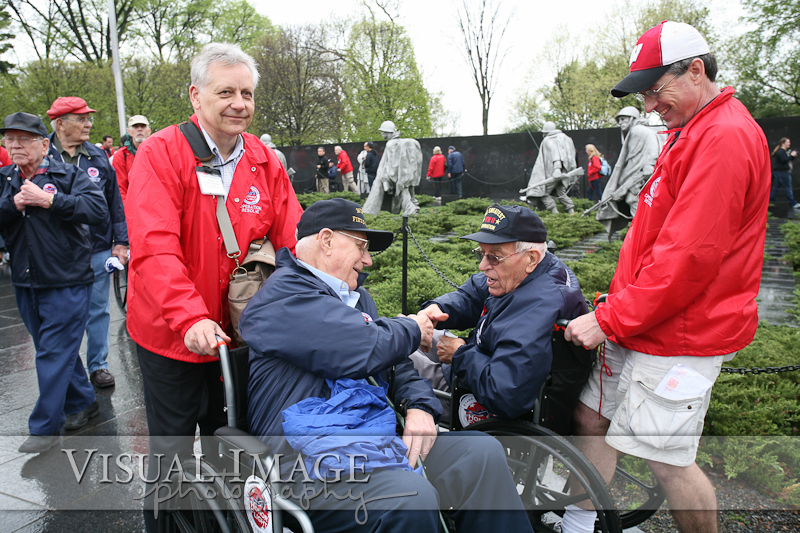 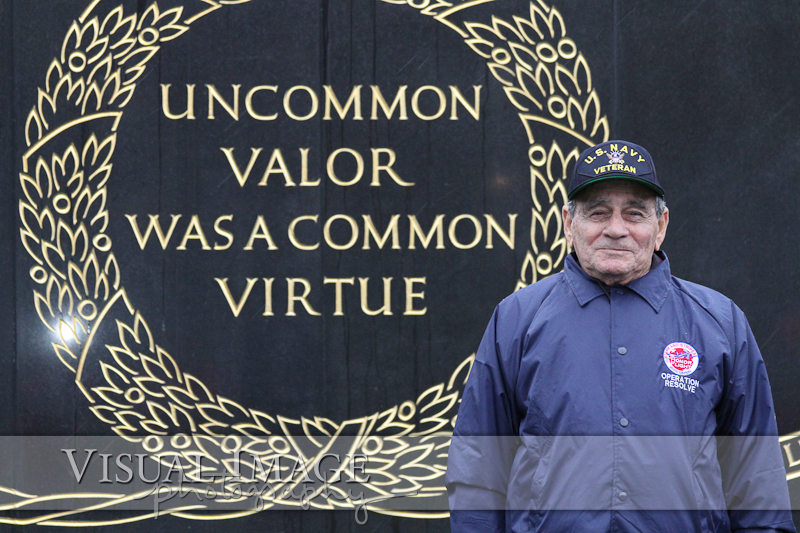 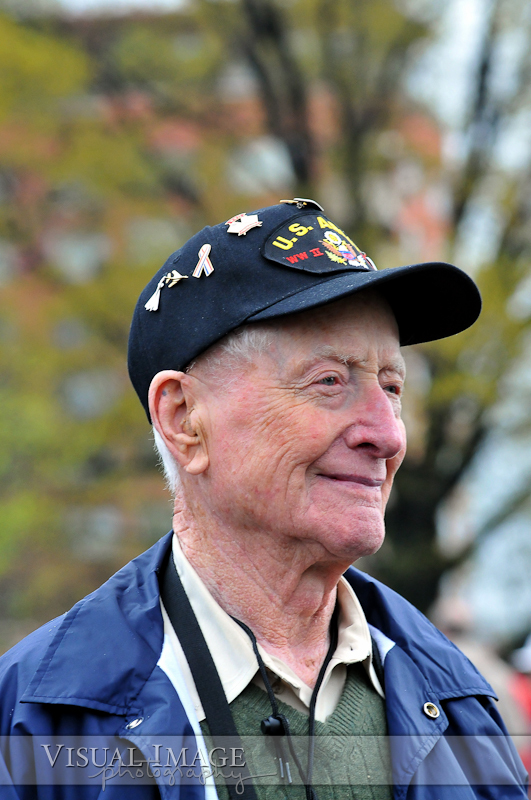 You can help them make the trip by making a donation to the Stars and Stripes Honor Flight. 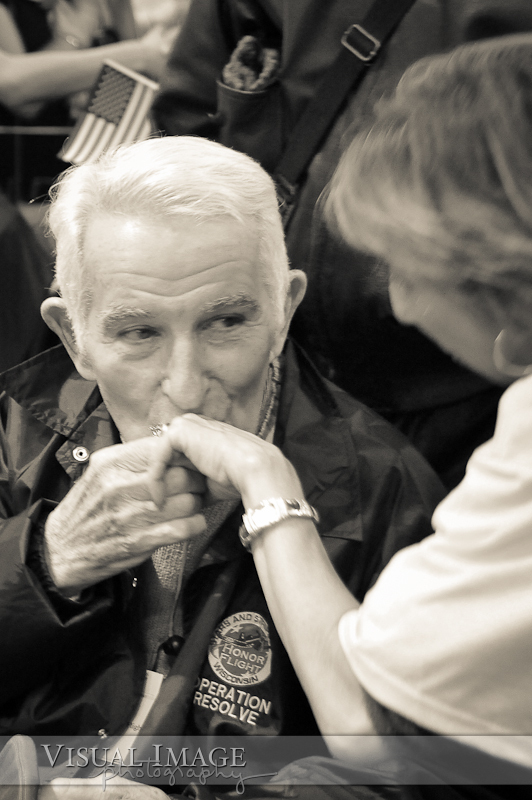 Please click here to donate. 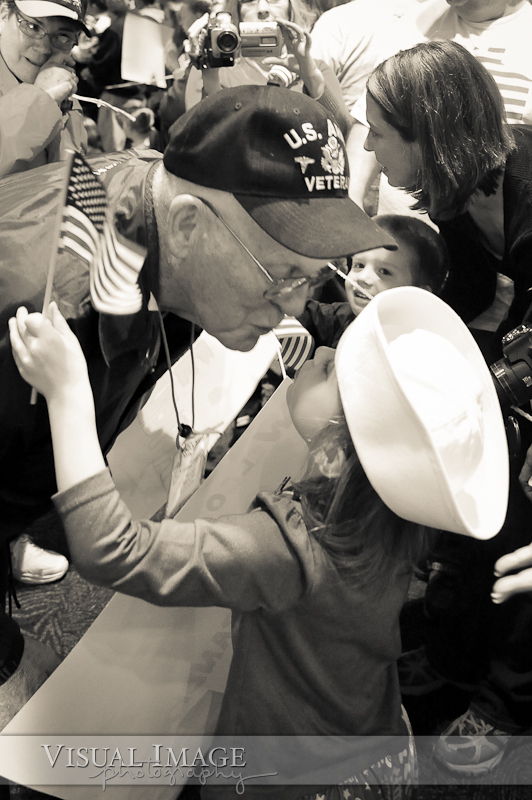 If you haven't had a chance to see the Stars and Stripes documentary trailer, please take two minutes to watch it. 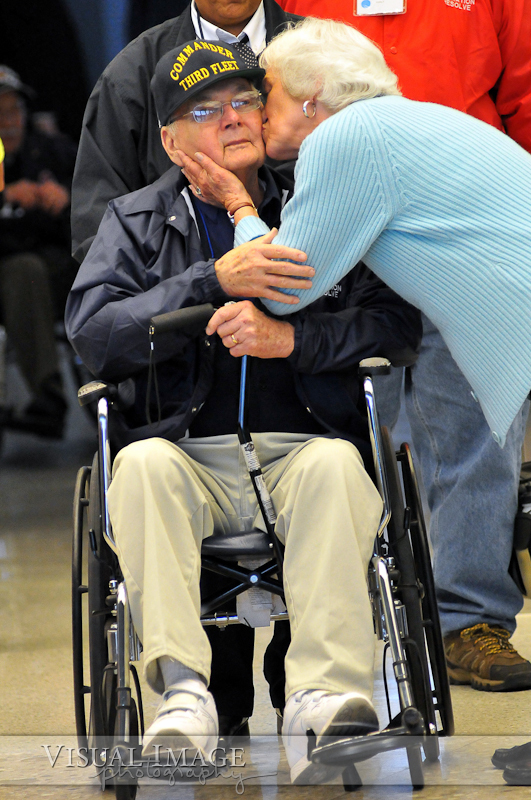 Make sure you have your Kleenex handy. 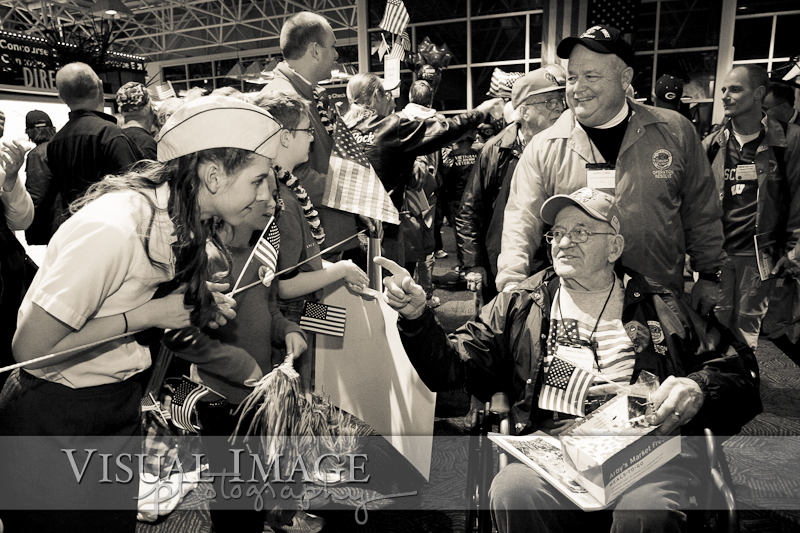 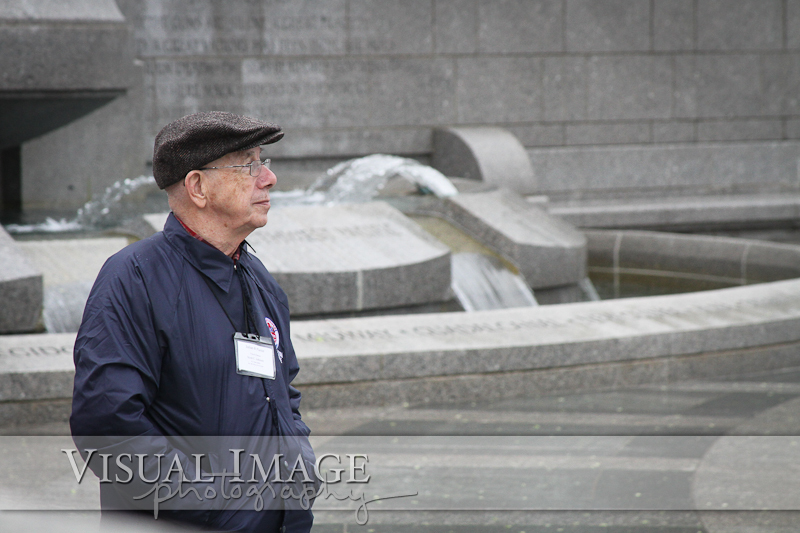 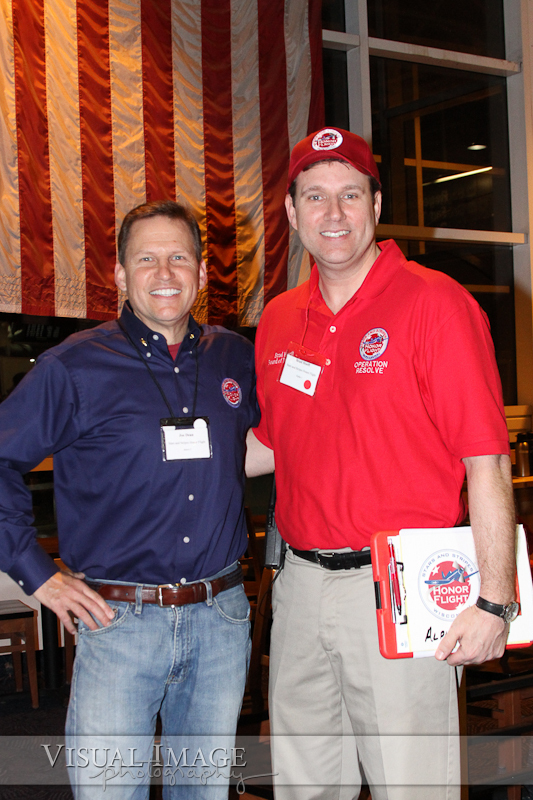 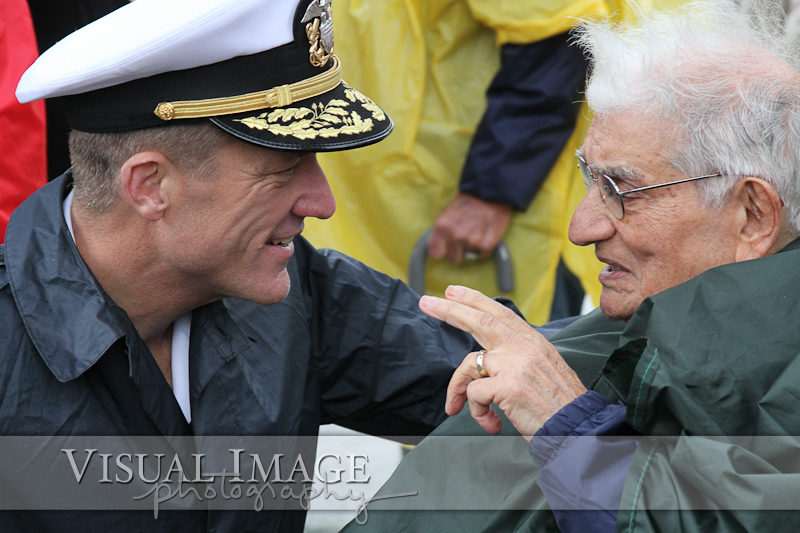 Now that you have watched the trailer, here are some of the photos documenting the April 2011 Stars and Stripes Honor Flight. 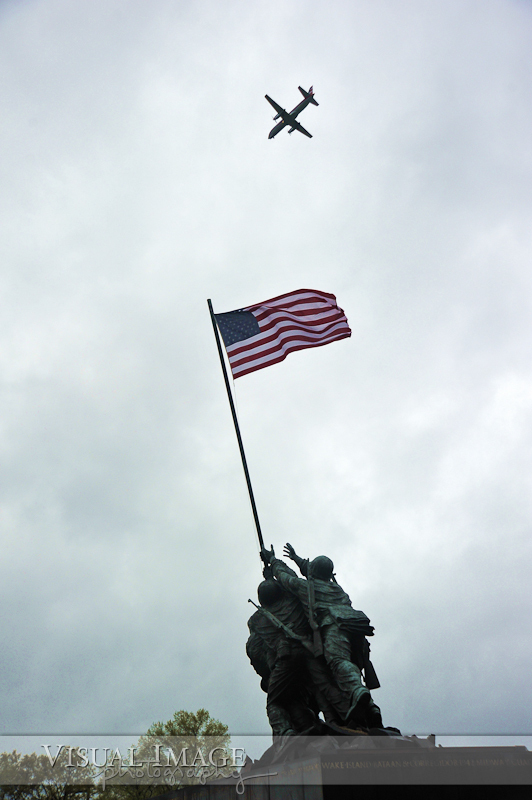 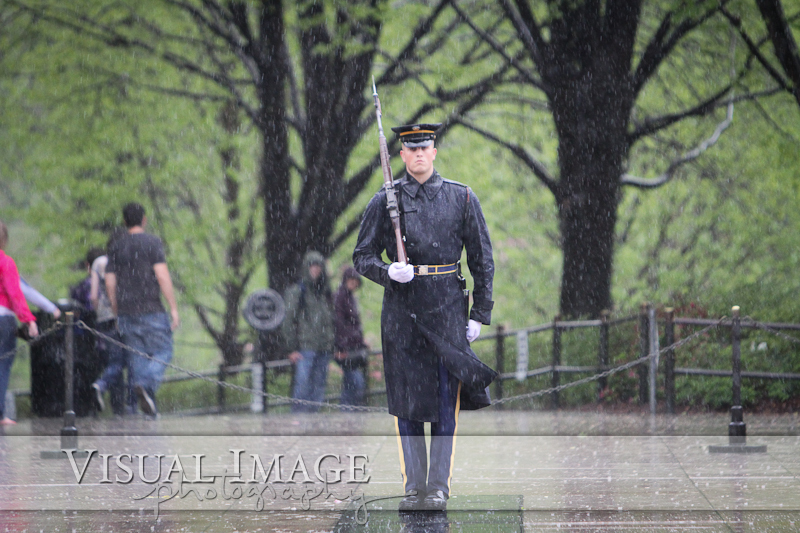 Courtney Lutz and Holly Nelson traveled with the Alpha and Bravo companies on their tour of Washington, DC. 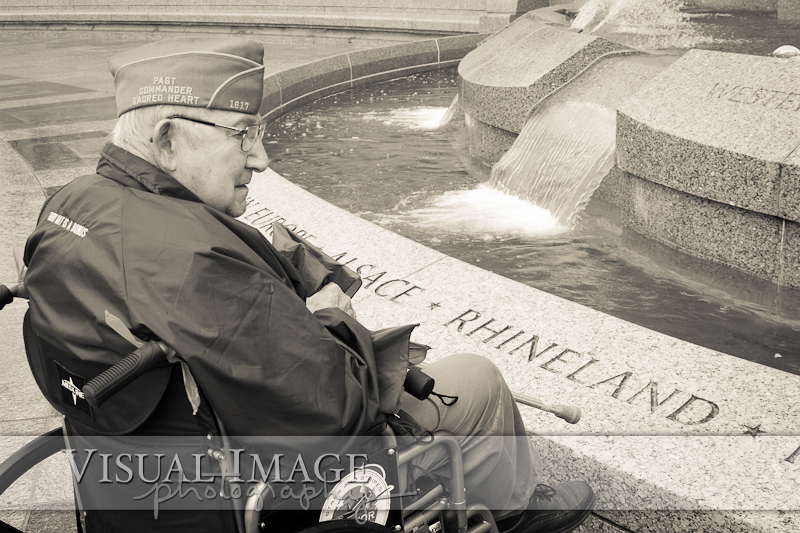 Visual Image Photography will be making these images, as well as all the other images captured by Courtney and Holly available for downloads once we have finished editing and color correcting them. 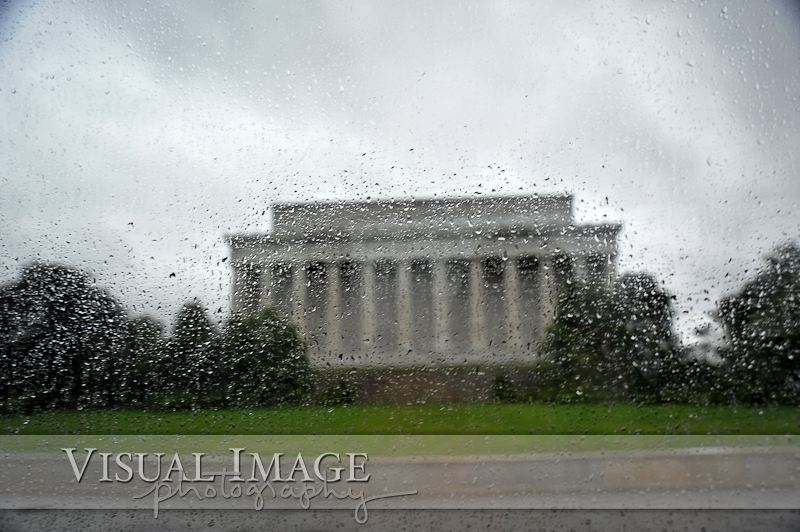 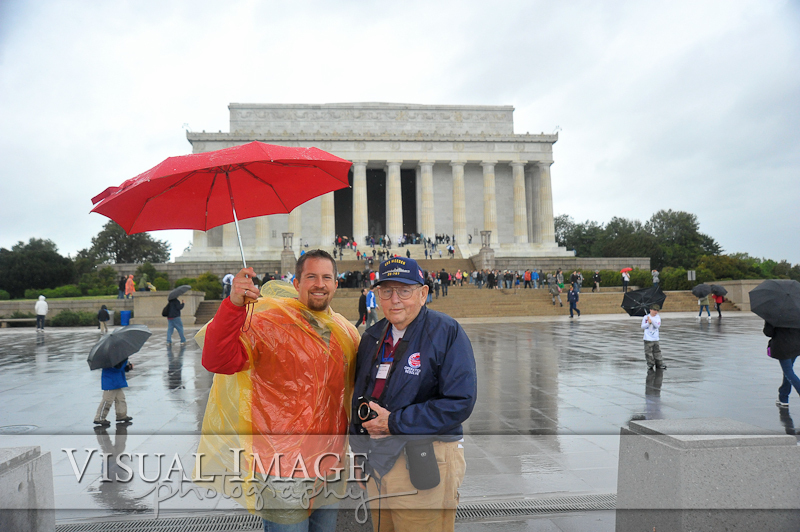 For now, I've posted some of our favorite images from the trip. 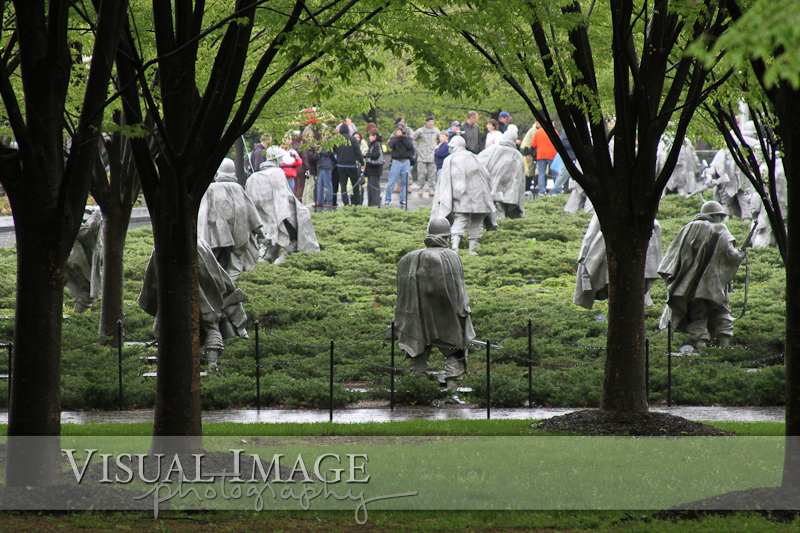 You can find the instructions for downloading the images here. 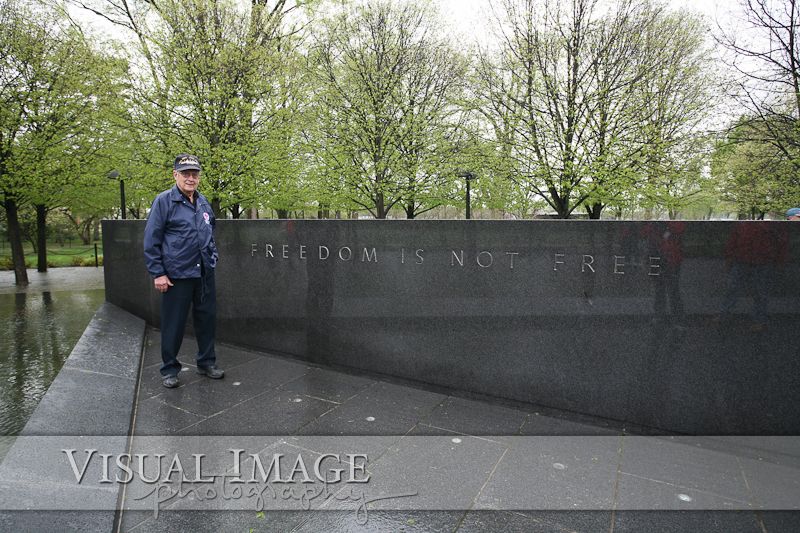 If you want to know when the images have been posted to our website, I'll post a blog when the complete trip is ready to view. 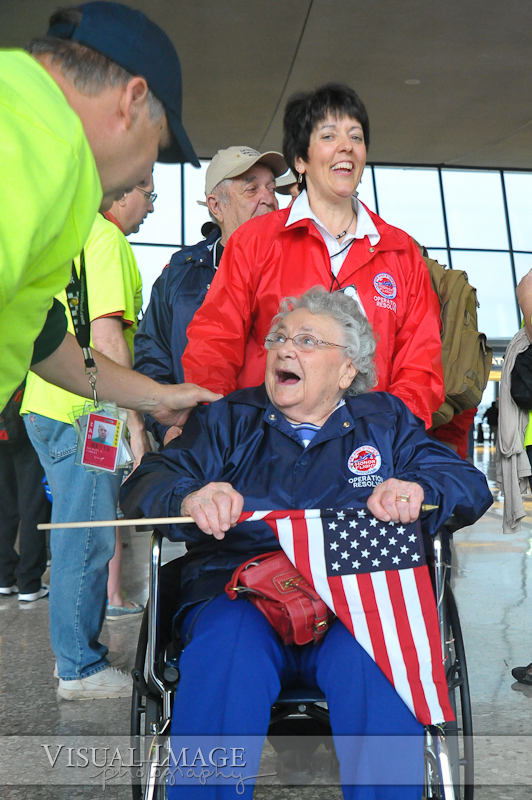 You can subscribe to our RSS feed to stay up to date with our blog, or watch for updates on the Stars and Stripes Honor Flight Facebook page by clicking here. 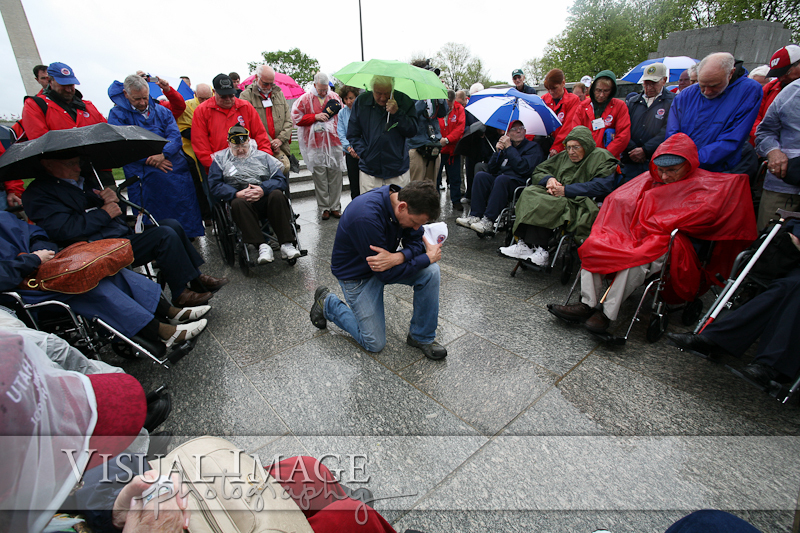 "Exalting the worth of the individual, to champion man, plead his causes and protest any degradation of his dignity, spirit and divinity." 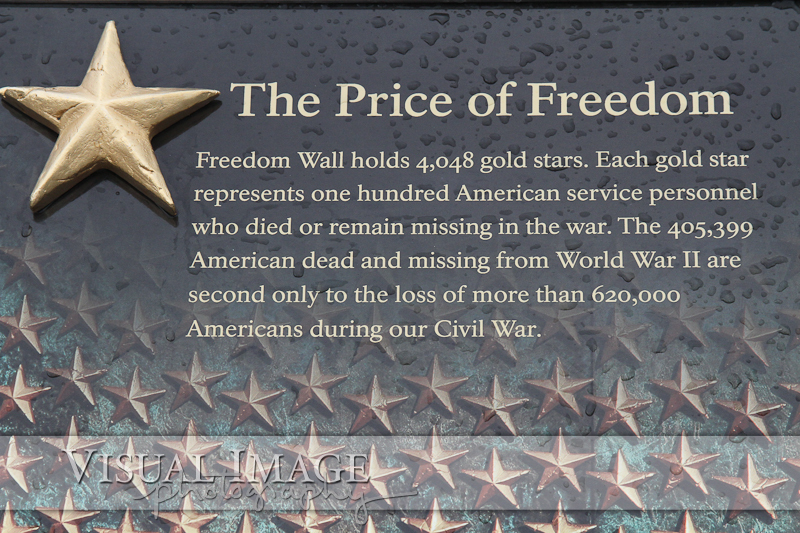 The heroes who defended our freedoms in WWII did just what Frank Capra describes. 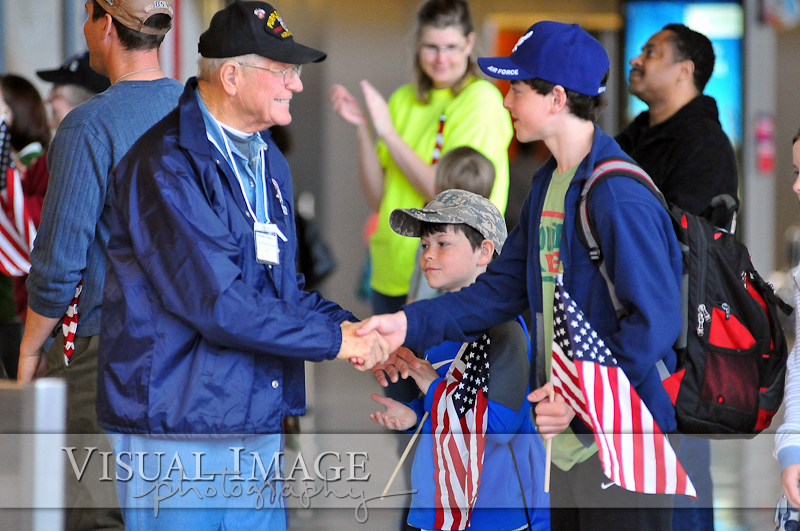 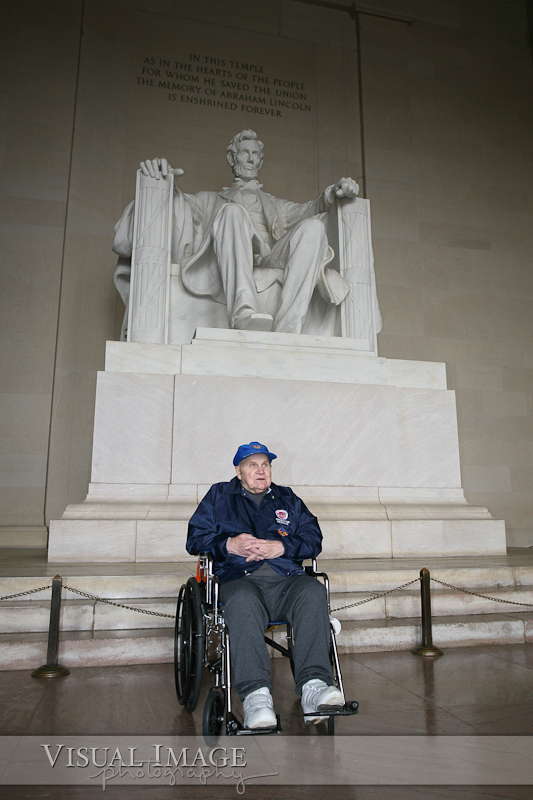 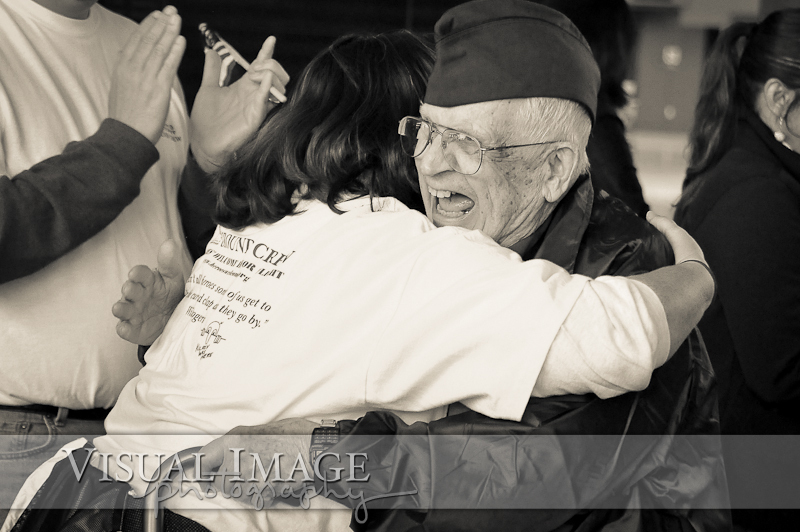 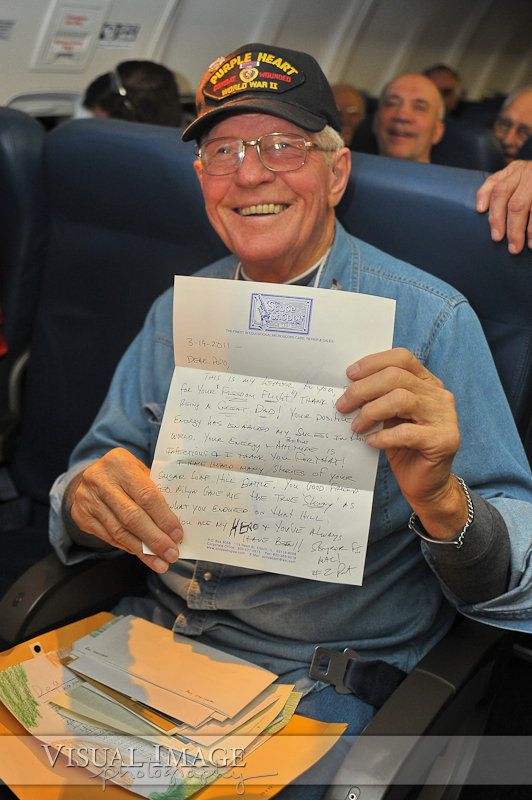 It's wonderful to return the favor through the Honor Flight program. 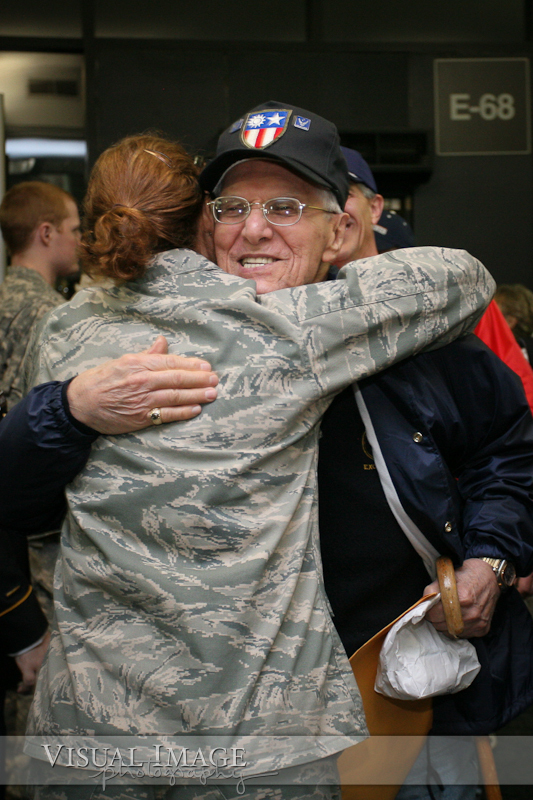 Thank you men and women of our armed forces! 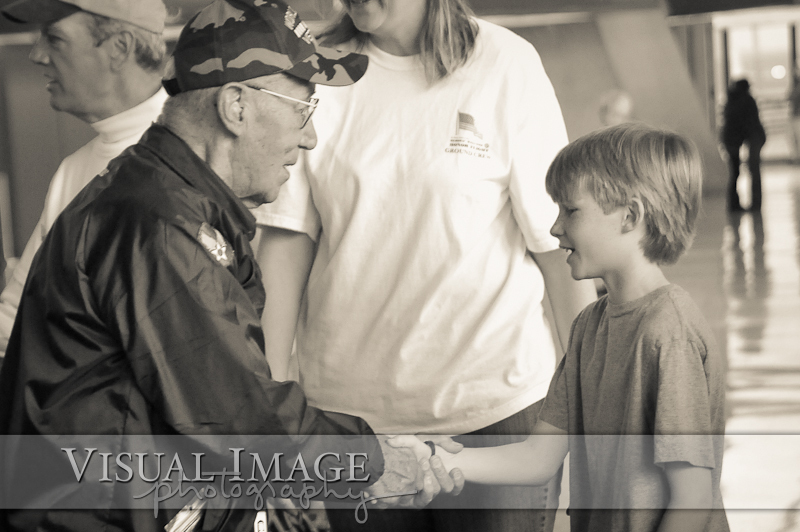 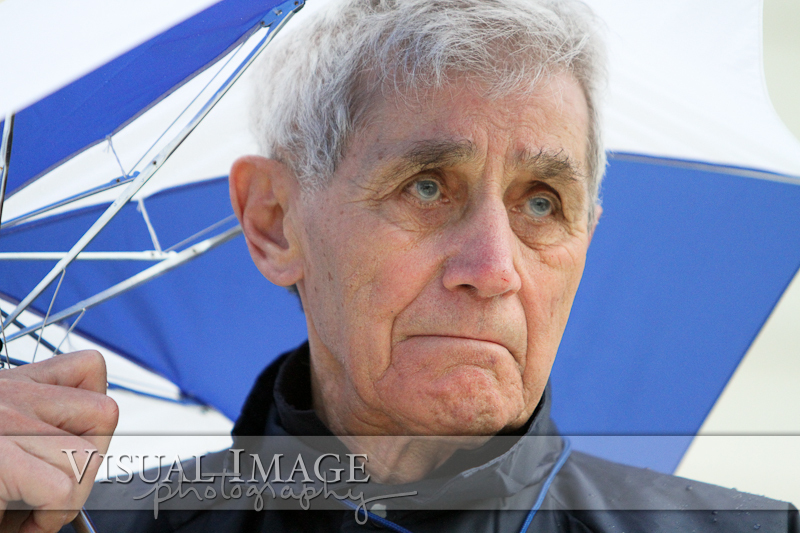 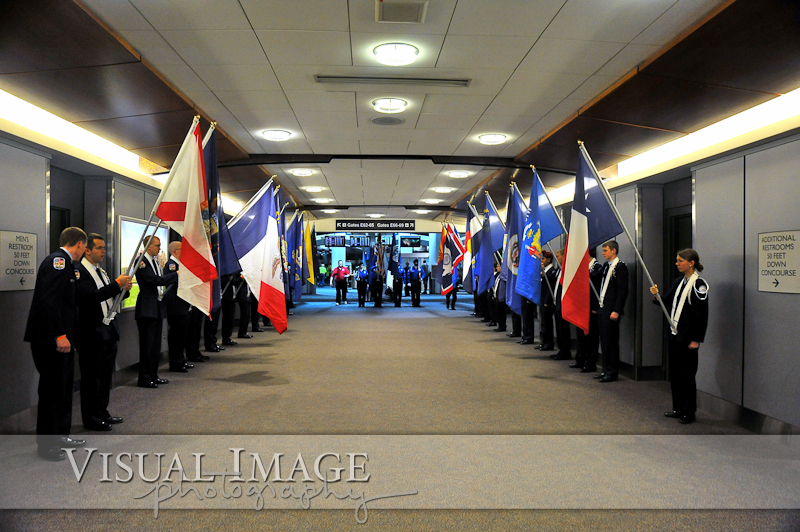 Awesome pictures by Courtney from VIP Photography, the photographer who flew on the Bravo plane. 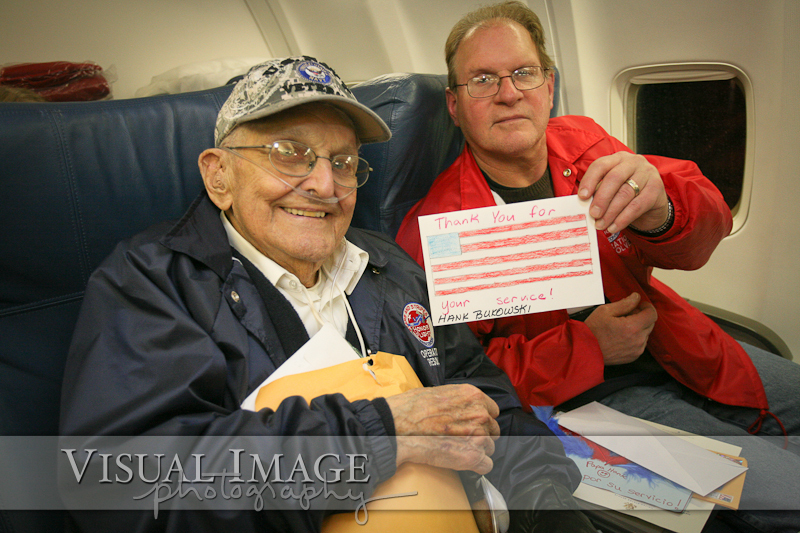 This was the same flight that my father-in-law, Lawrence P. Marsch (a P-47 Thunderbolt pilot), and his guardian/my husband, Alan Marsch, (a Navy veteran) were on. 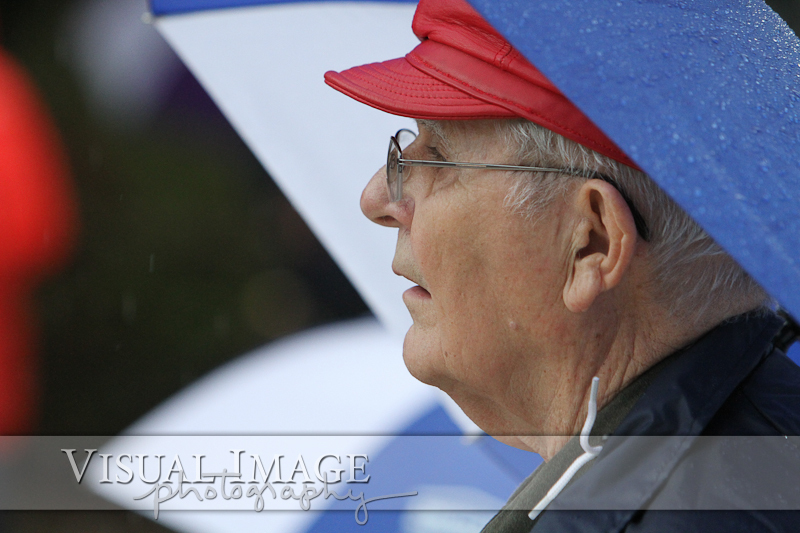 Thank you so much for the wonderful memories that you were able to capture on these fantastic pictures! 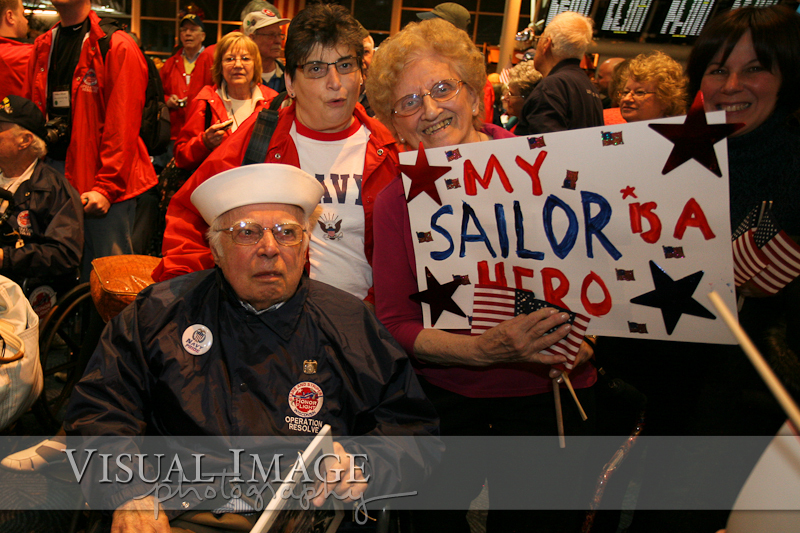 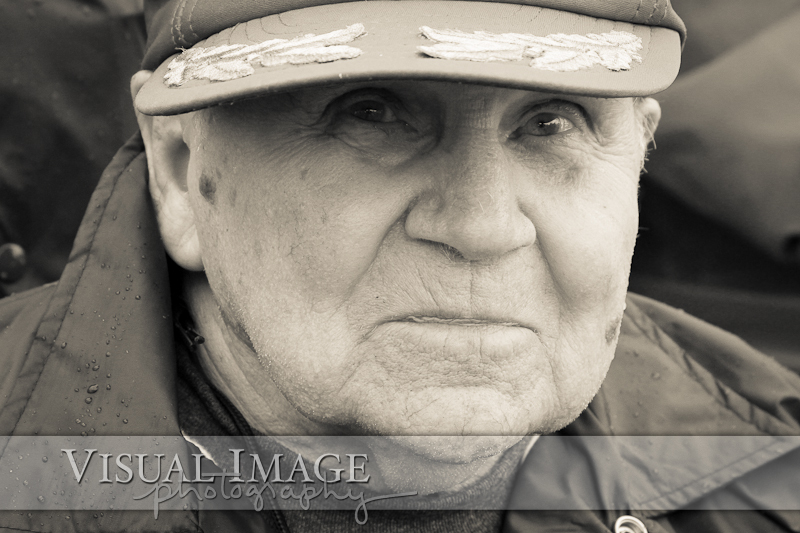 Thank you World War II veterans for your service and sacrifice so we can enjoy freedom in the U.S.A.!